As you’re redecorating your home, look for cost-effective options rather than cheap materials. While natural stones like Turkish marble may cost a little more today, they provide you with benefits that vinyl and even ceramic cannot match. In addition to installing this material on floors and counters, you can also extend it to other areas of your home. When you want to create a luxurious environment and make a great impression, consider using Turkish marble to reach those goals. The natural shades of marble work well with any décor. You aren’t limited to any one color because Turkish marble comes in a range of color choices and options. Give your rooms a warm glow with Rojo Alicante, or keep them cool and fresh with Bianco Dolomiti. You can add Adalia Cappuccino if you want the natural look of soft brown, or go with the deeper cream and tan shades of Crema River. Whether you want to complete a monochromatic look or you’ve been dreaming of a smooth, contemporary finish, use natural stones to develop the perfect color scheme on floors, patios, counters and even walls. All of the colors work well with other shades, and you can use them to contrast or complement the finishes throughout your home or business. In addition to mixing different marble shades together, you can also blend the various marble finishes with other materials. Marble and wood is a traditional choice that’s particularly attractive. Use a bowl sink in one shade of marble and mount it on a contrasting countertop. Mix marble with metal for a modern look that’s edgy and sophisticated. The light veining in most Turkish marble gives it a slight movement that you cannot find in other materials, and it helps to bring out the colors around it. You’ll never have to settle for a simple look again when you choose to incorporate this magnificent stone into your décor. You can also use contrasting colors in areas that are normally ignored. Install one color tile on your stair treads and put a different color on the risers. Make the size of a counter stand out by using contrasting colors along the back edge of the work surface. Use a contrasting border on the shower wall or even all the way around a bathroom to make it feel more spacious. You can also incorporate contrasting colors into your flooring patterns to make the room more impressive and ensure that it stands out. Marble has been used in exterior applications for centuries. It’s featured heavily in Ancient Roman structures, so there’s no doubt that it can withstand the heat and moisture of most climates. Smoothly polished marble may feel slick under your feet, but you can make the surface safer by opting for tumbled stones. These stones have a slightly textured surface that feels lovely while also providing you with a little more traction. Falls are less likely to happen, so this is an ideal stone for use around patios, pools, outdoor kitchen and even your front porch. People expect to see concrete or wood in these areas, so adding marble creates an unexpected look that you’re sure to appreciate. It makes a great impression on guests who will feel as if they’re enjoying indoor comfort when they’re walking on marble surfaces. If you’re concerned about the marble getting wet, you can give it a protective coating. The right treatments will seal off pores and keep the interior structure of the marble dry while maintaining the textured surface for safety. Marble cannot always handle the freezing and thawing cycles of northern climates, but it’s an ideal choice for home and business owners across southern regions where deep freezes are rare. 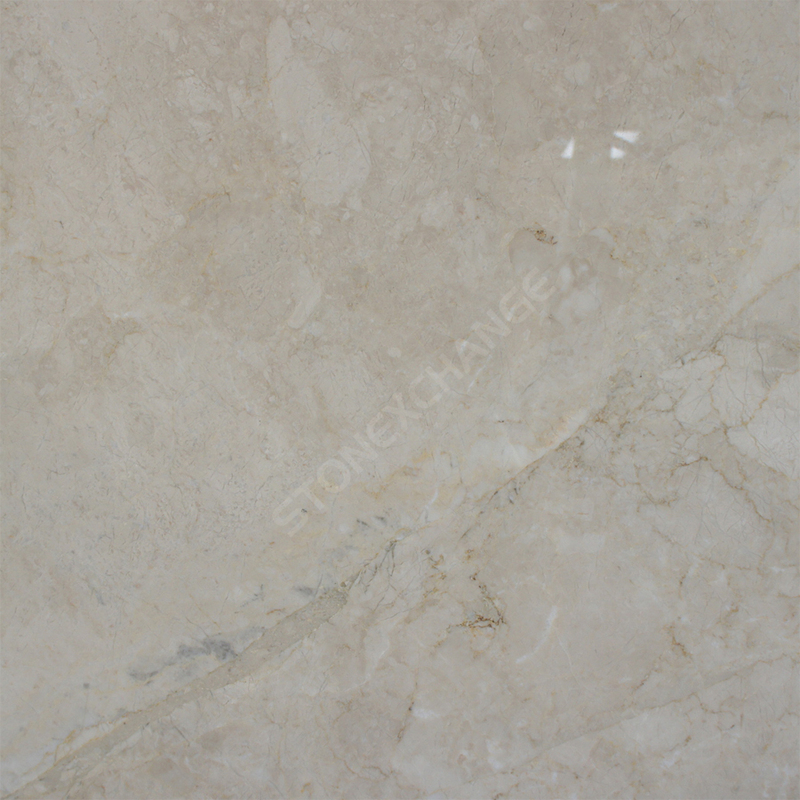 Luxurious Turkish marble is commonly used on horizontal surfaces like floors and decks. However, it can be used in several vertical applications around the home. Use Bianco Dolomiti tiles as the baseboard throughout your home. Install Arizona Ivory Travertine as the apron of your whirlpool tub. Natural stone makes an excellent border for the mirrors in your home, and you can cover one wall of your front porch with it for a sophisticated look that will boost curb appeal. In addition to installing this durable material on shower walls, consider adding it to other areas of the bathroom, including as a backsplash over the sink. When installing the tiles vertically, be sure to use an appropriate backing material. Natural stone is a heavier material than some ceramic tiles, and the thin paper cover on sheetrock may not provide you with the support you need. Tile backers are more durable and can provide you with a more appropriate surface for your new tile walls or backsplashes. If you’re investing in elegant accents throughout the home, make them stand out more with a marble finish. Pillars that are used to support large openings stand out more and have an impressive look when covered with natural stone. If you’re putting recessed shelves in along walls, use marble as the backing to make them stand out more. When you want to add little shelves to the shower or over a sink, reach for marble to make this accent look more amazing. Rather than going with wood transition strips or simple wooden window sills, replace these important building features with colorful and durable marble. You can use marble to finish off your lovely fireplaces, as backgrounds for magnificent artwork and to highlight almost any other accent in your home. There are no limits to how you can make good use of elegant marble tiles. Nalboor offers a range of marble products in several different sizes. Your satisfaction is our number one priority, so you can trust us for excellent service and wholesale pricing. We carry the most popular colors, and you’ll be pleased with the durability of this traditional building material. It costs more to purchase today, but it can last as long as your home with very little maintenance. This makes marble a most cost-effective choice. In addition to being smart for long-term value, it can also increase the curb appeal and overall value of your property. Contact us today for a wholesale quote through our online form. You may also call us at (305) 501-4548 to speak to one of our professionals from the most affordable marble wholesaler in Florida!